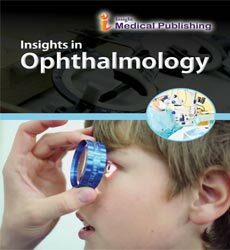 Insights in Ophthalmology is an International Open Access peer reviewed publication that discusses current research advancements in Ophthalmology. The journal covers several key aspects in this field by including research on topics like Anatomy and Physiology of Eye, Eye Diseases, Eye Surgery, Refractive Errors, Glaucoma, Cataract, Age-Related Macular Degeneration, Amblyopia, Diabetic Retinopathy, Retinal Detachment Or Tear, Dry Eye Syndrome, Cmv Retinitis , Crossed Eyes (Strabismus), Eye Floaters and Eye Flashes, Ocular Hypertension, and Low Vision. A cataract is a clouding up of the lens within the eye resulting in a decrease in vision. They will have an effect on one or each eyes. Usually they develop slowly. Symptoms might include light colours, hazy vision, halos around light, problem with bright lights, and problem seeing at the hours of darkness. External Eye Diseases have several genetic disorders that lead to external eye disease. External eye disease is contagious and requires antibiotic treatment. Some of the list external eye disease are retinal disorders, tear disorders, cataract, refrarctive errors and corneal allergies. The swelling in the ocular surface of the eye leads to disorders which have to treat immediately. Several inflammatory diseases occur due to the failure of autoimmune system in the eye. There are two types of inflammatory disease such as Uveitis and Scleritis. American Journal of Ophthalmology, The Lancet, Ophthalmology, Experimental Eye Research, Survey of Ophthalmology, The American Journal of Medicine, Journal of Allergy and Clinical Immunology, Journal of the Neurological Sciences, Journal of Cataract & Refractive Surgery, Journal of Ethnopharmacology, The American Journal of Surgery, Oral Surgery, Oral Medicine, Oral Pathology. Optimetry is a another type of health care profession which deals with eye and its related structures along with vision and visual system. Optometry person differs from the ophthalmic surgeon on the bases of their training and diagnose. Purtscher and Purtscher-Like Retinopathies: What Do We Know?